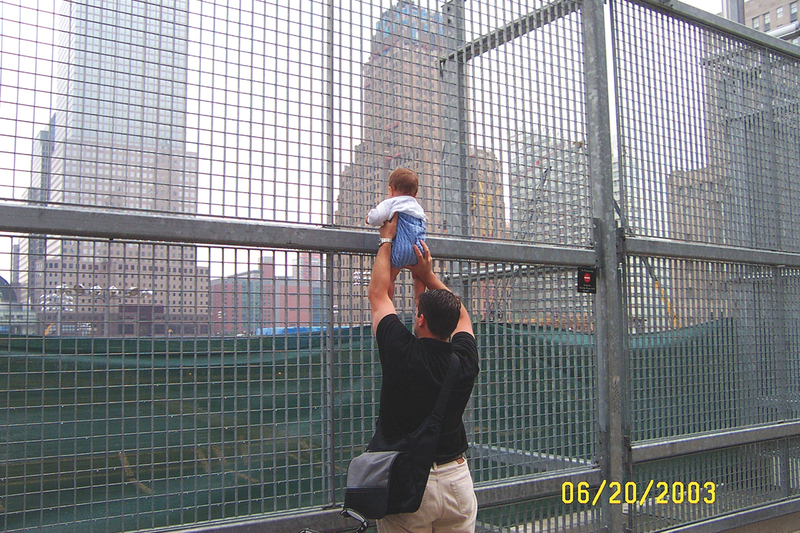 A former resident of the neighborhood and his son revisit the World Trade Center site for the first time. 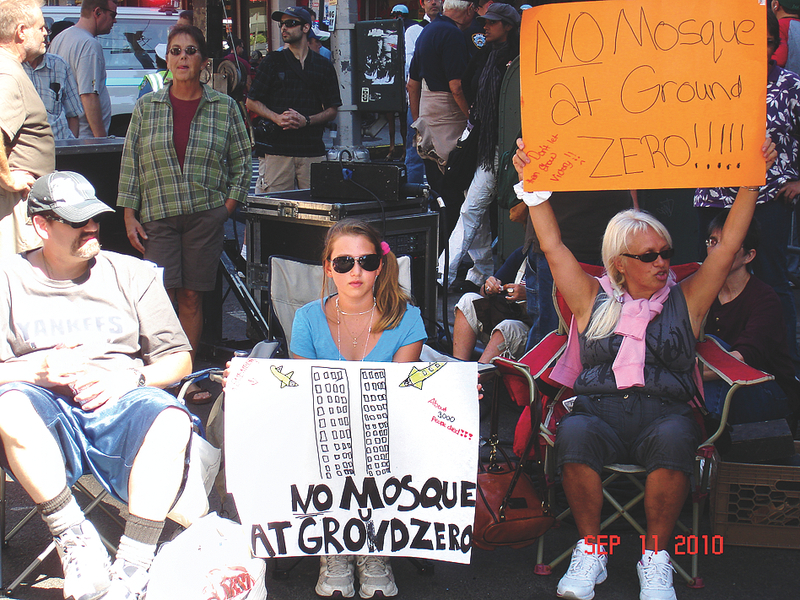 Floridians protest a proposed Islamic Center and mosque two blocks from Ground Zero in 2010. 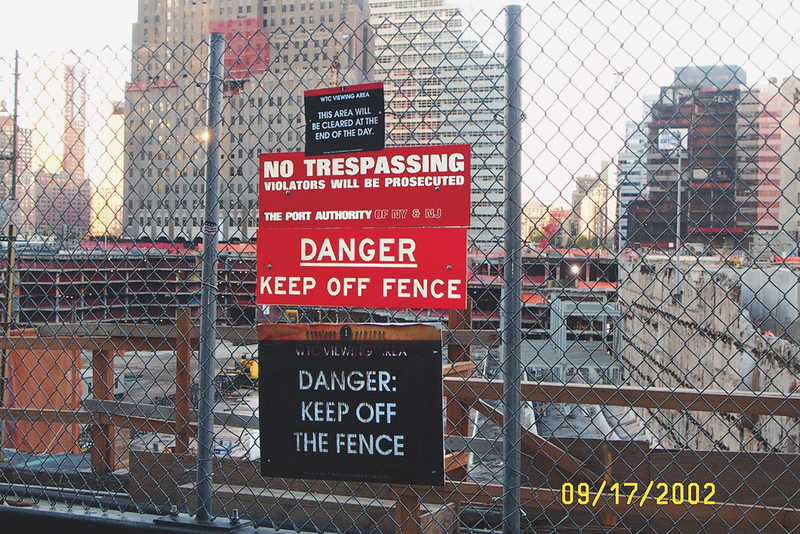 The Port Authority cleared the site of homemade memorials in 2002 and barred future ones. In the first month after 9/11, Larry Silverstein, the real-estate developer who owned the leases to the Twin Towers, received nearly 3,000 letters telling him how and what he should rebuild. The public’s desires reflected various irreconcilable wishes: “revenge, rebirth, peace, the latest in green design, a park, commercial space, affordable housing,” writes Elizabeth Greenspan, preceptor in expository writing, in her new book, Battle for Ground Zero. Eventually, in “one of the slipperiest, most disingenuous moments” of the process, the Lower Manhattan Development Corporation (LMDC) ran a design competition to create a “master plan” for the site—even though Silverstein, the Port Authority, and the governor’s office had already decided on all the elements the site would contain: skyscrapers, a memorial, a train station. The competition was simply a contest to map the site, to assemble these pieces into an organized space. Architect Daniel Libeskind was declared the winner, though only after Governor George Pataki and Mayor Michael Bloomberg, M.B.A. ’66, overruled the LMDC’s panel of judges, architects who had chosen a plan by an architectural consortium called THINK.